A short sleeve polo shirt is the perfect canvas to express the most diverse variations of a theme. 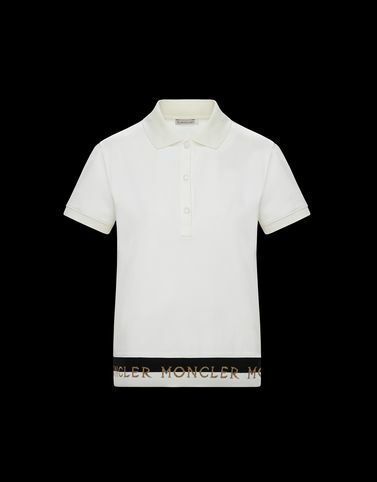 Always maintaining focus on the quality of design and fabrics, Moncler has imagined the infinite possibilities offered by a simple, but versatile piece. Thought-out details and cotton jersey that is close-fitting to the body guarantee the proper dose of femininity.